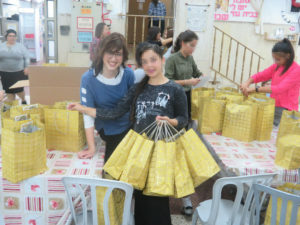 The children of Keren Hayeled not only receive, they also volunteer to help others in need. 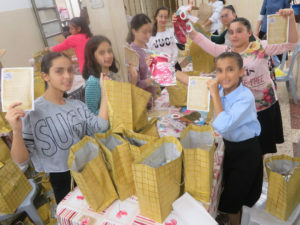 During this period between Rosh Hashana and Yom Kippur, when the books of life and death are open, and we increase tzedaka and chesed, our children prepared 400 festival care-packages for widows and orphans. 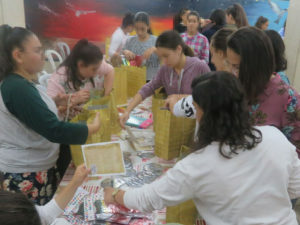 They felt such fulfillment and meaning, and seemed to be more joyful than at any party or attraction they had all summer! They felt that they were part of a large and important partnership, and they were glad they helped. 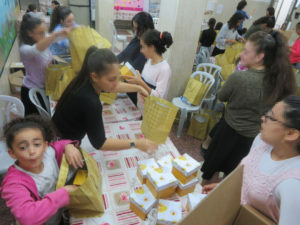 The children of Keren Hayeled invite you to share with them in the joy of giving!